Kimbry Parker has been writing since 1998 and has published content on various websites. Parker has experience writing on a variety of topics such as health, parenting, home improvement and decorating. She is a graduate of Purdue University with a Bachelor of Arts in organizational communication. 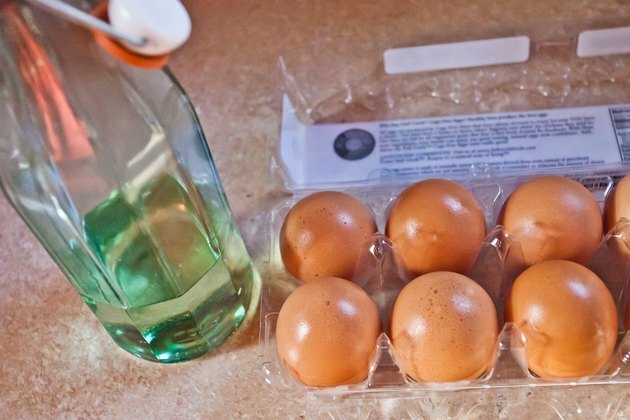 Eggs and olive oil aren’t just must-haves in your kitchen. These two foods have also earned a spot right alongside your favorite hair care products. Egg yolk and olive oil are both high in fat, making them natural moisturizers. In addition, the protein in egg yolk helps to strengthen your hair. 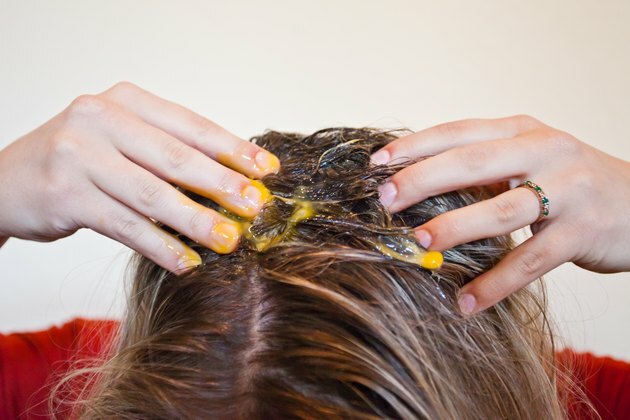 Make your own hair mask with egg yolk and olive oil for an all-natural way to moisturize and condition dry, brittle strands. 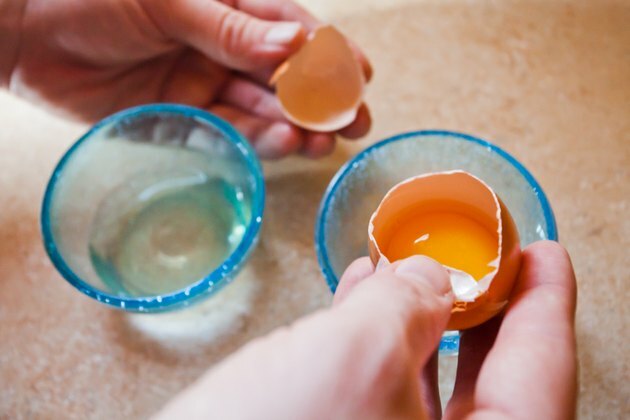 Separate the egg yolk and white from one egg. If you have especially long or thick hair, two egg yolks may be necessary to provide even coverage. Place the yolk in a separate bowl from the white. 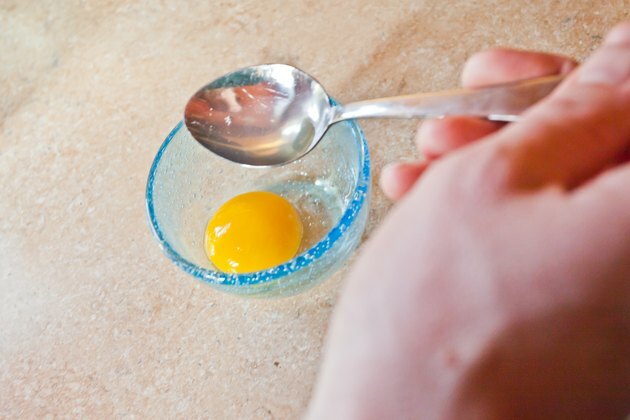 Add 1 tablespoon of olive oil for every egg yolk in the bowl. Use a spoon to mix up the yolk and olive oil until blended well. Massage the mixture evenly into dry hair. Place a plastic shower cap over your hair and leave the mixture in your hair for a minimum of one hour. 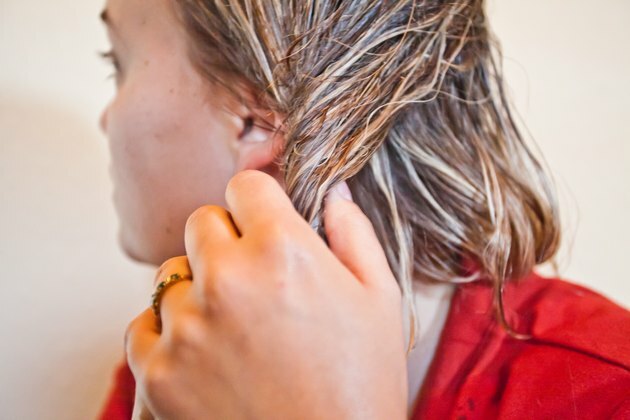 Rinse the mixture from your hair using lukewarm water. Avoid using hot water, which can cook the egg yolk. Shampoo and condition your hair as usual. Adding a small amount of honey to your mask, especially for extra dry or sun damaged hair, will help strands retain their moisture. Extra washing may be needed, as the substance is sticky.